The Accident Compensation Corporation (ACC) is part of the healthcare system in New Zealand. To quote themselves on their purpose, they provide “comprehensive, no-fault personal injury cover for all New Zealand residents and visitors to New Zealand”. To put it simply, if you hurt yourself in an accident in New Zealand, ACC will likely pay for all treatment you require to recover from that injury. They are not strictly part of the government, but they are a Crown organisation set up via the Accident Compensation Act 2001, and they are controlled directly by the government through an ACC minister. 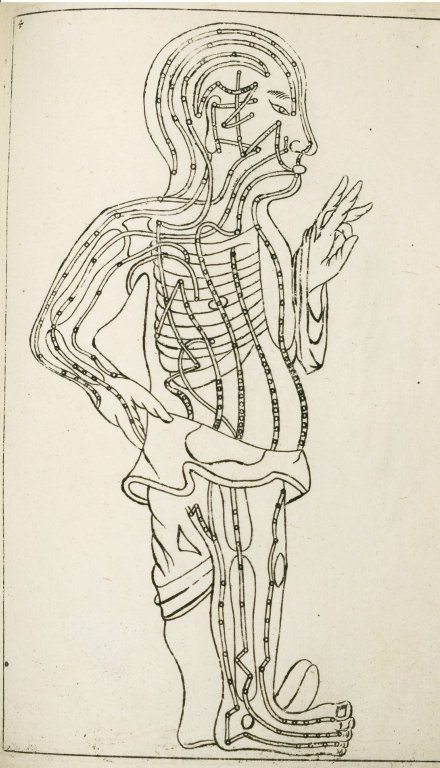 At the time of writing, the current ACC minister is Judith Collins. The ACC is funded publicly through various avenues, including levies on people’s earnings. 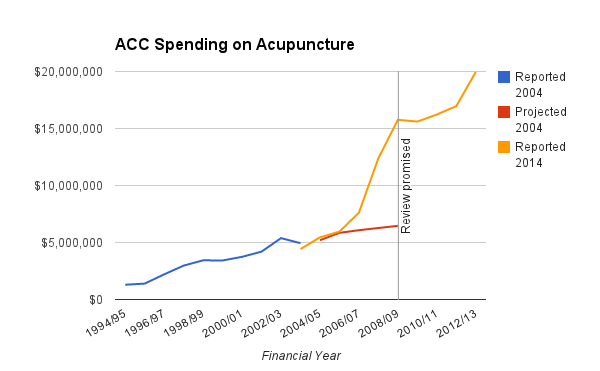 The following table shows the total amount (in dollars, excl GST) ACC has paid under Regulations for Osteopathic, Acupuncture and Chiropractic services for the last 10 years. Naturopath is not an ACC funded service; therefore your request for this information is declined under section 18(e) of the Act, as the document alleged to contain the information requested does not exist or cannot be found. This OIA request was a follow-up to an earlier request from Mark Honeychurch regarding essentially the same information. The response to Gold’s request included a new column for 2012/13, as well as the “Total” column although that isn’t strictly new information. Also, the information from Gold’s request seems to have been a catalyst for an article published on the 24th of May 2014 on stuff.co.nz: Big Bill for Alternative Health. In 2009, then-ACC Minister Nick Smith questioned the ballooning ACC bill for complementary treatments and said their effectiveness would be reviewed. 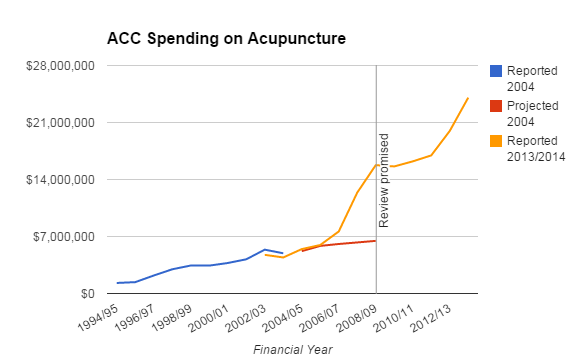 Since then, the cost has risen another $5m but ACC said no review ever took place. ACC Minister Judith Collins did not answer questions about the review. 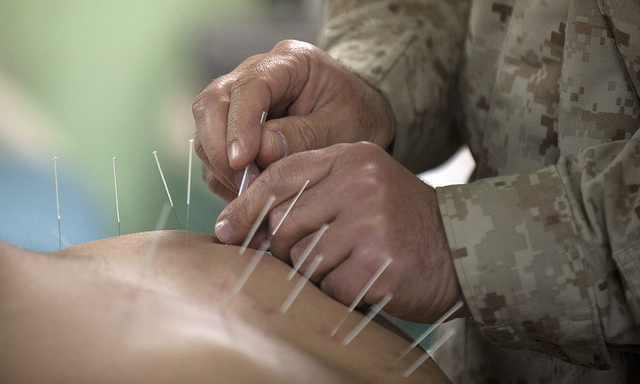 a valuable guide in the application of protocols that are included within a Traditional Chinese Medical (TCM) diagnosis, providing important information that assists an acupuncturist’s treatment strategy. I shudder at the thought that the ACC levies I pay are partly used to fund this. 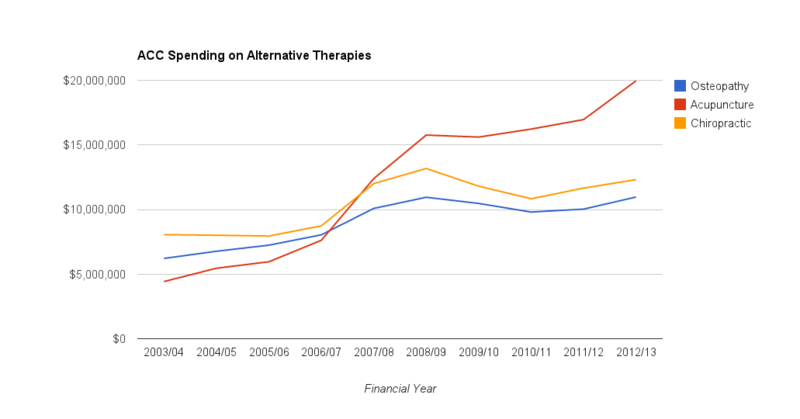 It seems to me that it’s high time the ACC carried out a review of the evidence behind these therapies that it funds, so problems like this can be rooted out and dealt with. Publicly funded healthcare should be based on science, after all.